Disappointed that his beloved Leith Hill failed by just 35 feet (12 metres) to reach the magical one thousand feet, the somewhat eccentric Richard Hull decided to remedy the situation. In 1766 he obtained permission from Mr. Evelyn, the Lord of the Manor, to build a "Prospect House" on the summit. This consisted of two rooms "neatly furnished", with a Latin inscription above the door announcing that it had been built for not only his own pleasure, but also for the enjoyment of others. In order to take advantage of its new status as a mountain, he provided visitors with prospect glasses, a type of miniature telescope, through which they could view not only thirteen counties but also the sea some thirty miles (49km) distant. 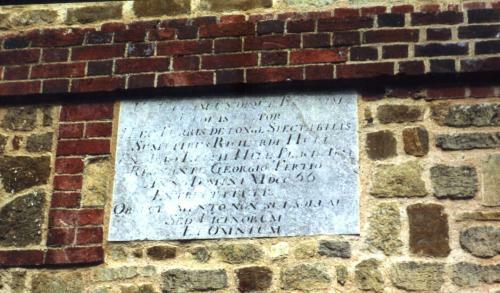 When he died in 1772, at his own request, he was buried beneath the floor of the tower, his virtues being extolled by a marble slab affixed to a wall. His kindness however, was ill rewarded, for immediately after his death, his former neighbours stripped the building of its contents, even removing the doors and windows, before allowing it to fall into ruin. 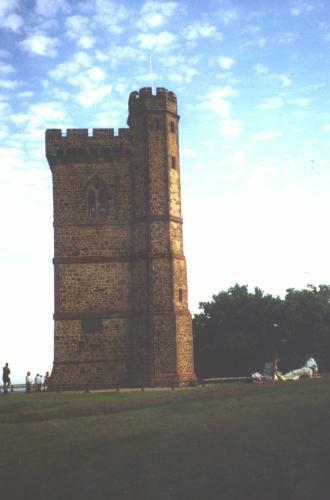 The much altered and now renovated tower is once again open to the public. 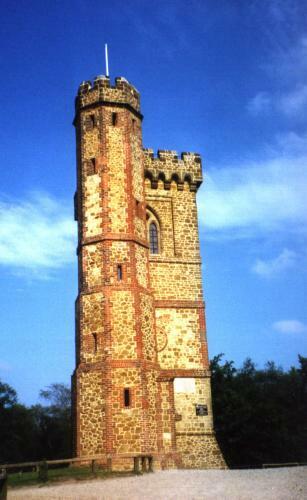 It stands on top of Leith Hill, the highest point in southern England, 7km south of Dorking in Surrey.